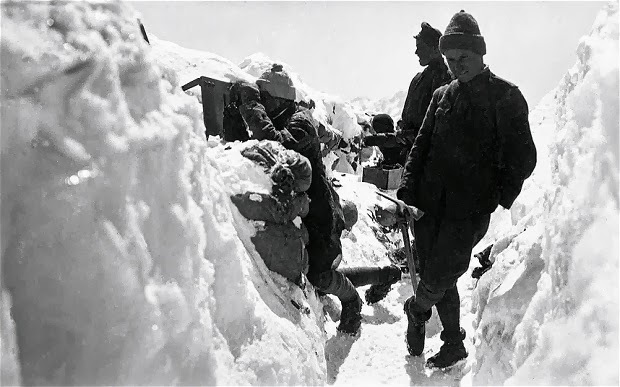 World Archeology: Melting glaciers in northern Italy reveal corpses of WW1 soldiers. The glaciers of the Italian Alps are slowly melting to reveal horrors from the Great War, preserved for nearly a century. At first glance Peio is a small alpine ski resort like many others in northern Italy. In winter it is popular with middle-class Italians as well as, increasingly, Russian tourists. In summer there’s good hiking in the Stelvio National Park. It has a spa, shops that sell a dozen different kinds of grappa, and, perhaps, aspirations to be the next Cortina. A cable car was inaugurated three years ago, and a multi-storey car park is under construction.